There’s a crisp edge to the breeze today, but we still had a few leftover peaches that were just begging to be baked. This dessert felt like a swan song to summer, and I can’t say I’ll be too sad to see it go. Despite the fact that I’d gladly never hear the word “pumpkin spice” again, autumn remains my favorite season. This year, with the re-introduction of a work routine, there’s a pleasant cadence to my days. Not to mention the re-introduction of chunky sweaters, leather boots, and flannel sheets. And a resurgence of a certain man’s beard and his plaid shirts. Nothing says fall like a good beard, amirite? But where were we? Peaches. Right. Peaches. Their season is far too short and they’re one of the foods that starts with “p” that I support. 2) Combine the peaches, vanilla extract, cornstarch, cinnamon, and one tablespoon of sugar in a bowl. 3) Remove the dough from the fridge and arrange the peaches artfully upon it, leaving a border of 1 and 1/2 inches. 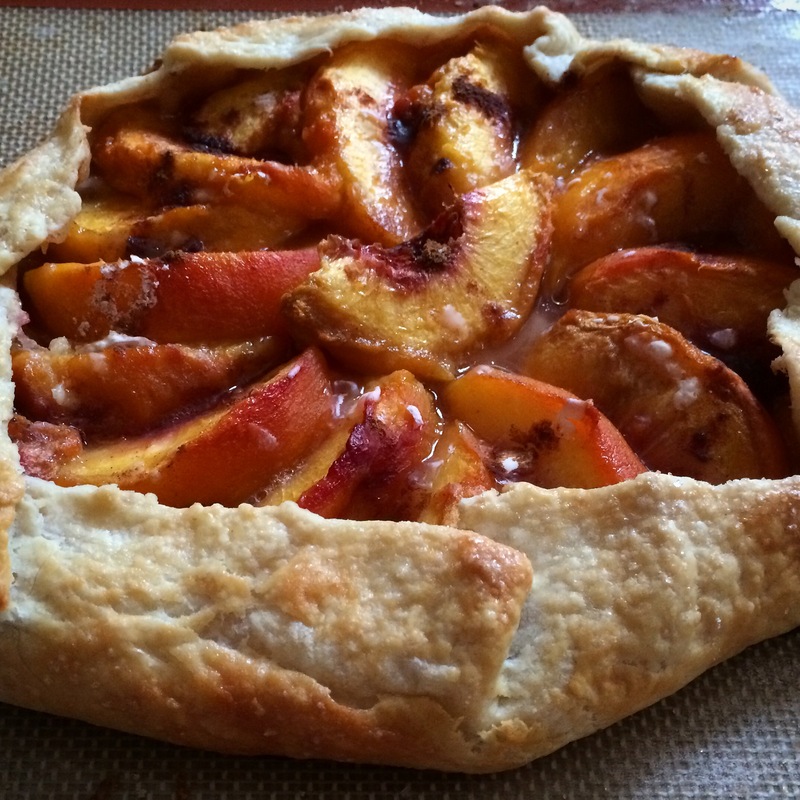 Fold the border over the peaches to make a crust. 4) Mix the egg and water together and brush gently over the crust. Sprinkle the whole tart with the remaining two tablespoons of sugar. Place the tart on the lower rack in the oven and cook for 45 to 55 minutes until the crust is golden brown. This entry was posted in dessert and tagged peaches. Bookmark the permalink.